Jurassic-age phyllite and fine-grained schist (semischist) of Mount Josephine (Dragovich et al., 1998). 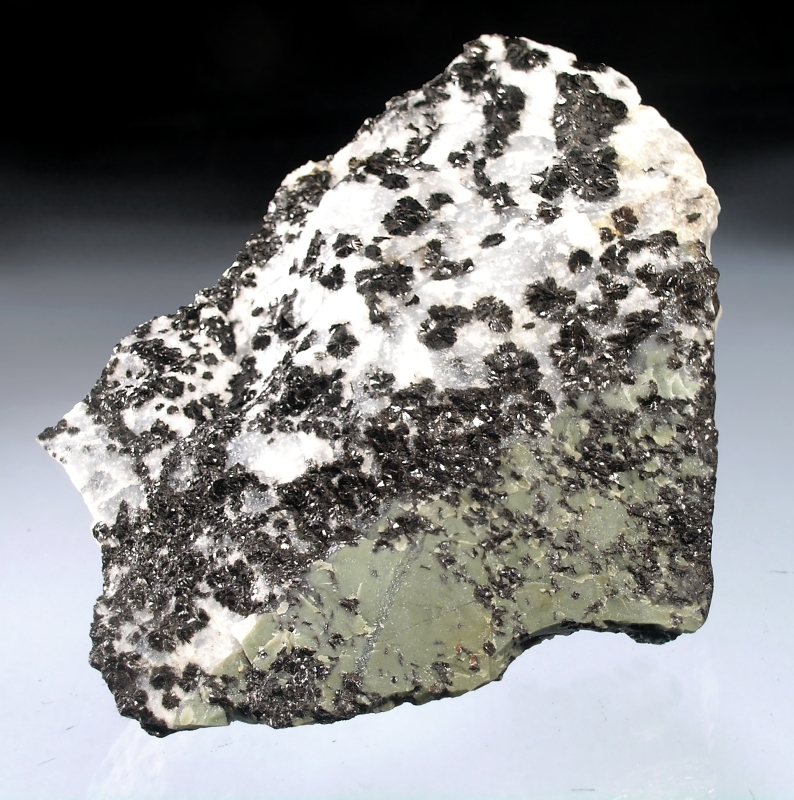 Rocks of Mount Josephine are considered to be correlative with Darrington Phyllite, but having a coarser-grained protolith (sandstone versus siltsone and shale). These protolith sediments are thought to have been deposited on an ancient sea-floor and subducted and metamophosed beneath the western edge of North America during the mid to late Mesozoic. 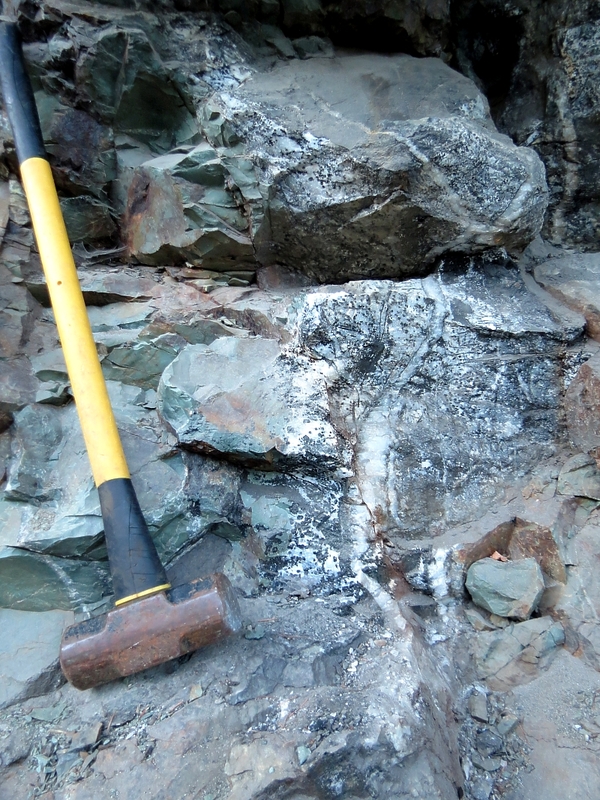 Stilpnomelane occurs within a zone of green chert within a larger body of phyllite (Mount Joesphine). 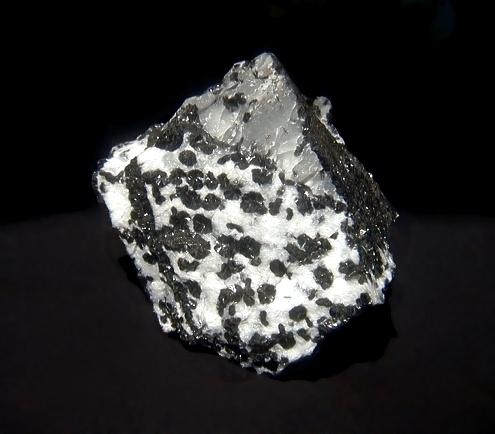 Stilpnomelane is thought to have crystallized during episodes of hydrothermal activity that introduced iron into the silica-rich chert. Please visit Washington Geology Vol. 26 No.4 December 1998 for more information. Dragovich J. D.; Norman, D. K.; Grisamer, C. L.; Logan, R. L.; Anderson, Garth, 1998, Geologic map and interpreted geologic history of the Bow and Alger 7.5-minute quadrangles, western Skagit County, Washington: Washington Division of Geology and Earth Resources Open File Report 98-5, 80 p., 3 pl. Mustoe, George E., December 1998, Stilpnomelane at Blanchard Mountain, Western Skagit County, Washington. Washington Geology, Vol. 26, No. 4, 3-8.